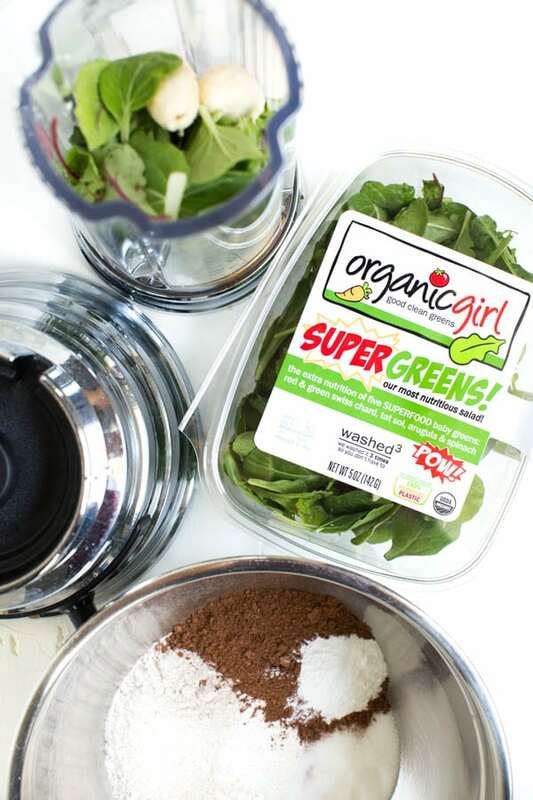 Ever since I discovered organicgirl products, I knew that I had to combine greens and chocolate. 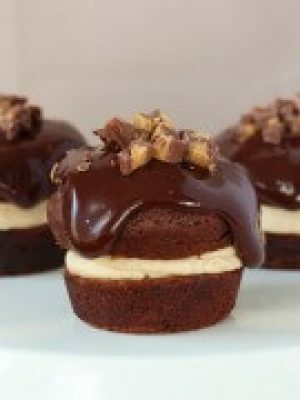 Everything is better with chocolate, right? 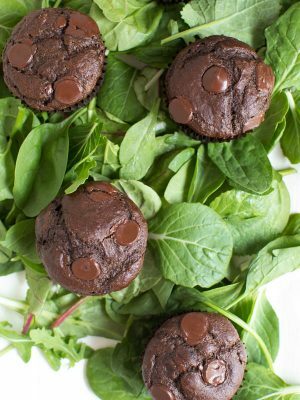 Superfood Double Chocolate Muffins are the perfect way to sneak greens into muffins. 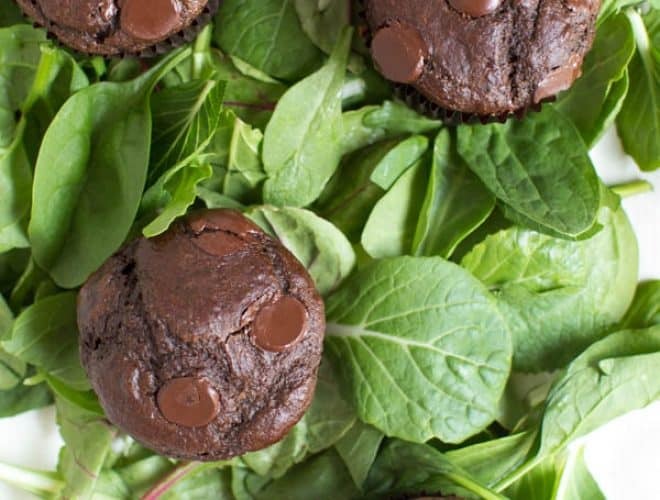 These muffins are packed with hearty greens, but you will never know. 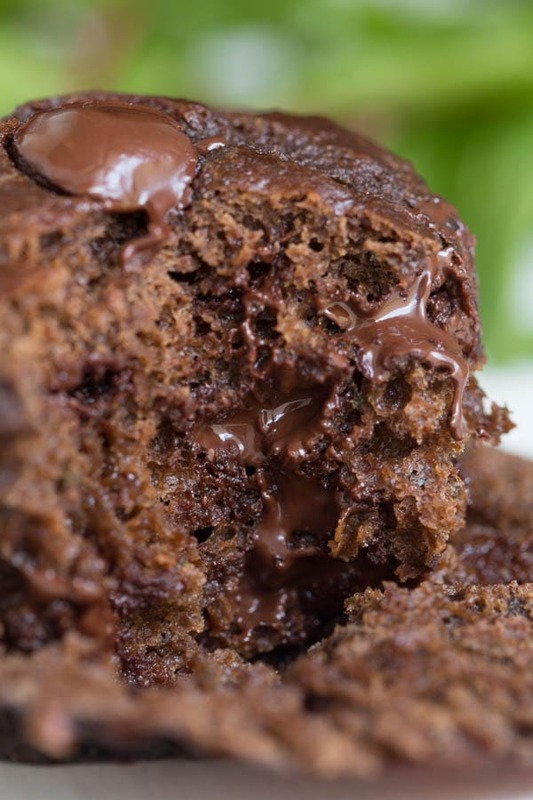 The rich chocolate flavor creates a muffin good enough for breakfast or dessert. 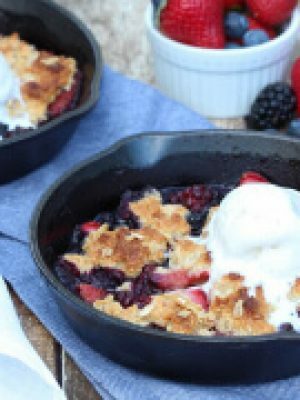 In addition to this recipe, I have two more exciting details to share with you today. Make sure you scroll down for more information! 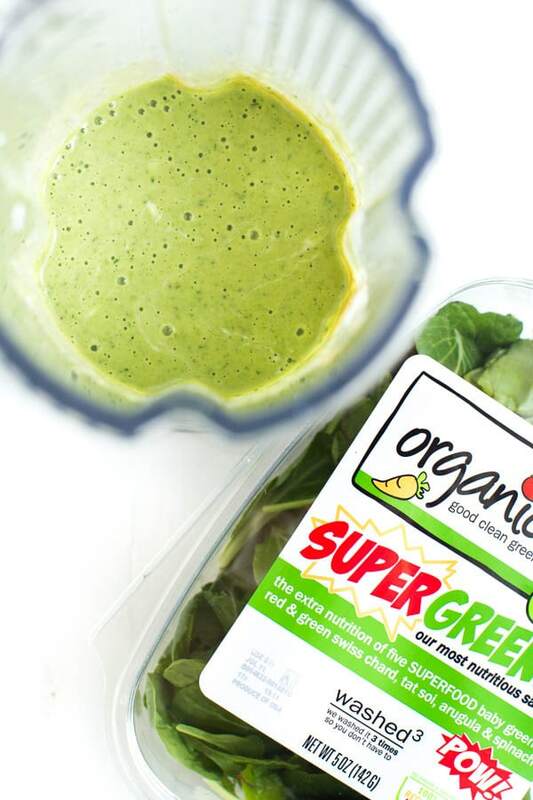 For this recipe, I used two heaping cups of organicgirl SUPERGREENS! The muffins are lightened up slightly by using banana, peanut butter and Greek yogurt. While organizing my recipes for a new ebook, I realized that I don’t have many breakfast recipes featuring greens and I definitely don’t have any baked recipes with greens. 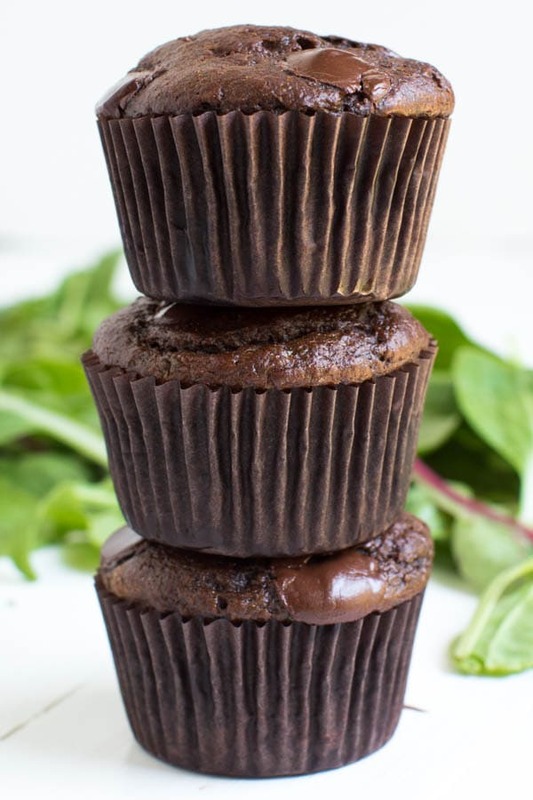 I solved that problem by creating these superfood double chocolate muffins. 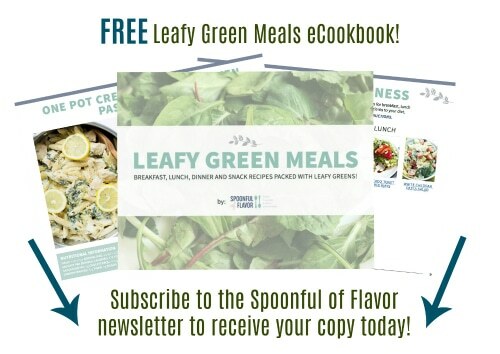 The new ebook will be available FREE for download and will feature some of my favorite recipes using organicgirl blends as well as tips for adding greens to every meal. Stay tuned! The ebook is launching soon. 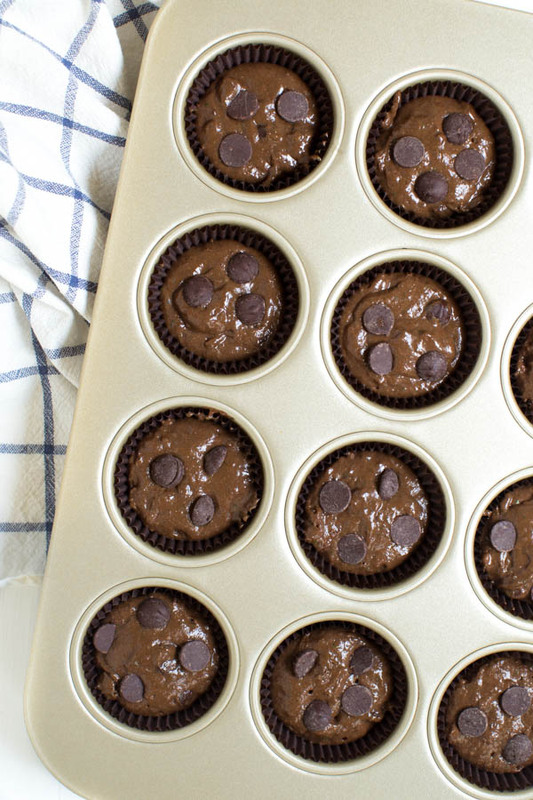 In the meantime, make a batch of these tasty muffins to share with your entire family. Absolutely Delicious!!!!! Love them.. The green mixture by itself is a great Smoothie as well !!! These were delicious! Thanks so much for the great recipe. Hi, Jenn! Although I haven't tested these without the peanut butter, I don't see why you couldn't omit it. If you do, let me know how they turn out. Enjoy! I love how you sneak in some greens! Nobody would know! Never seen muffins like that put on green leaves, lovely garnishing and fewer ingredients added. 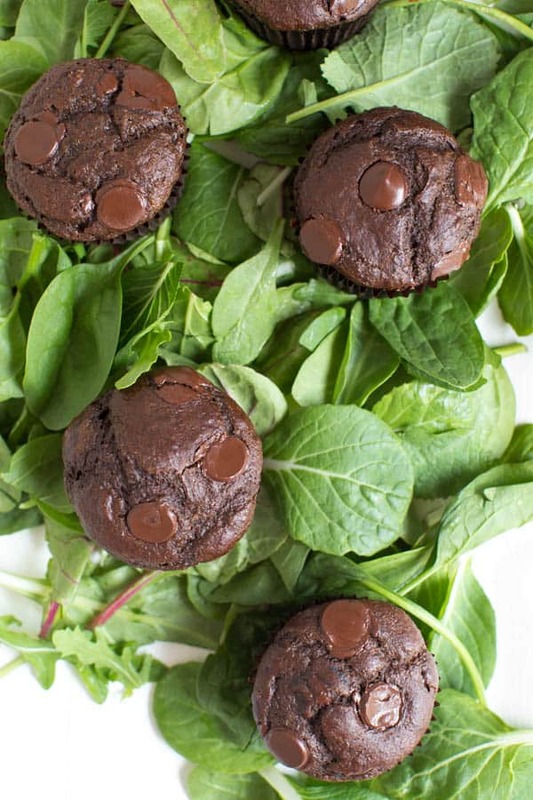 Love the idea of sneaking in greens in muffins! These look amazing! This. Is. BRILLIANT! 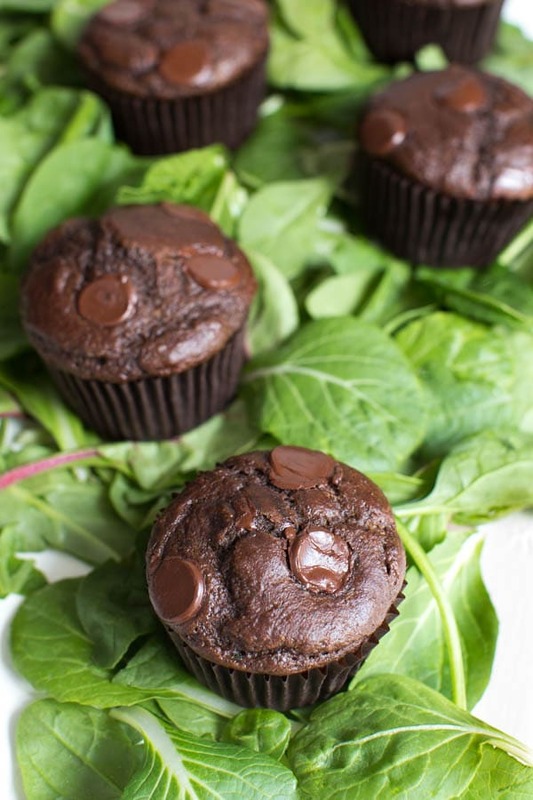 I'll take a helping of greens with my breakfast muffin for sure! And now, I wish I had all the products to bake this immediately! What an awesome and unique idea!! Pinning.... 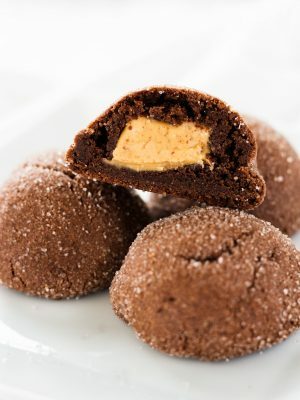 I so want to try these!